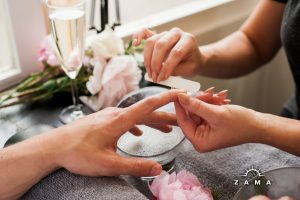 The Seasonal Manicure at Zama is a hydrating hand treatment that provides relief and revival for tired, overworked hands. 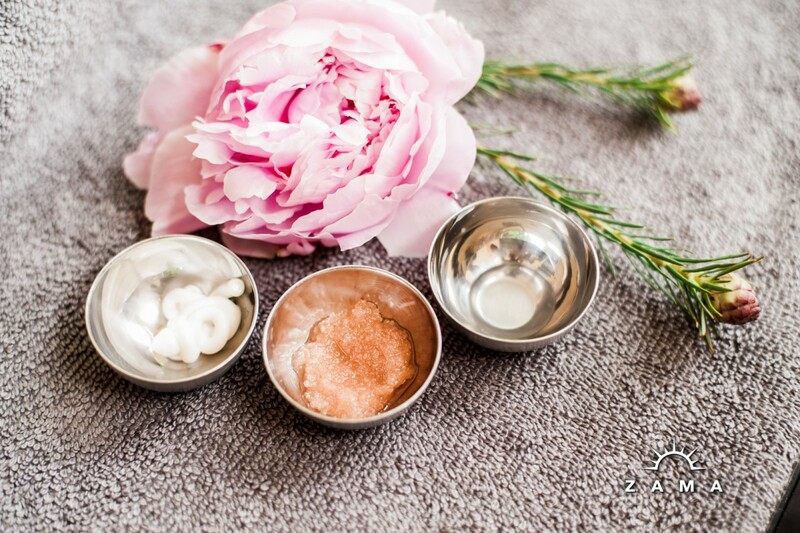 Performed in our bright and beautiful Garden Room, this spa manicure takes extra steps, including exfoliation for the hands and an extended hand and arm massage that will allow you to blissfully melt away. Take a look at the Seasonal Pedicure, we use the same fresh products for both treatments! The Seasonal Manicure uses a delightful blend of fresh, organic, and local ingredients along with Eminence Organic Skincare and Deborah Lippmann products for a special touch. This hydrating spa manicure provides relief and revival for tired, overworked hands and arms, as well as expert nail and cuticle care to leave your hands looking gorgeous! As you sit back, de-stress and unwind, your hands will be instantly soothed in our manicure bowls filled with warm water and fresh seasonal ingredients. Once your hands are soaked and softened, our detoxifying hand and arm scrub then sloughs off dry skin, leaving your skin feeling rejuvenated! Following specialized nail care, your arms and hands are then massaged with a luxurious massage cream that softens skin and locks in moisture. With a focus on soothing your skin, calming your mind, and providing extended nail and cuticle care, polish is optional in this treatment. Our Deborah Lippmann nail care line is vegan and 5-free making it safer and healthier for your nails. Relax and watch your hands transform.